Colors make the world delightful. It�s hard to imagine a life without blue skies, green plants, and the sometimes fiery, sometimes muted, highlights we see in the world. Official recognition came in 1982, when the National Academy of Sciences� report, Diet and Cancer, gave the academic and medical "seal of approval" to the link between beta carotene and vitamin A and reduced risk of cancer. Since then, there has been reconfirmation of this link. The link between beta carotene and cancer prevention may be found in beta carotene�s effect on the immune system. Michelle Santos, et al., writing in the November 1996 issue of The American Journal of Clinical Nutrition, notes that beta carotene may increase the activity of natural killer (NK) cells. NK cell activity has been postulated to be an immunologic link between beta carotene and cancer prevention. The article states that, "Our results show that long-term beta carotene supplementation enhances NK cell activity in elderly men, which may be beneficial for viral and tumoral surveillance." This has been reconfirmed in a more recent study by Santos (The American Journal of Clinical Nutrition; July 1998). Another reason for beta carotene�s effect on cancer may be due to its influence on the gap-junctional communication between cells. Gap-junctional communication is a way that cells communicate; it is the exchange of small molecules and ions between neighboring cells. All cells within a tissue, with the exception of circulating blood cells and smooth muscle cells, are connected to one another by gap junctions. These communication channels allow the transmission of important cellular messages and play an important part in maintaining a normal cellular environment. Some scientists believe that beta carotene, and other carotenoids, achieve cancer protection by improving the communication which takes place in these gap junctions. This improved communication may help cells being transformed into cancer cells revert back to being normal. Most specifically, beta carotene apparently stimulates a molecule that helps the immune system target and destroy cancer cells. It increases the number of receptors on white blood cells for a molecule known as major histocompatibility complex II (MHC II). MHC II is integral in helping monocytes, a type of white blood cell, direct killer T cells to cancerous cells (Cancer Weekly Plus, Jan. 6, 1997). 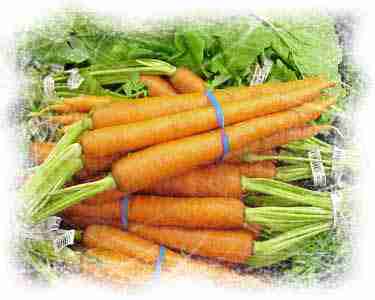 In other words, beta carotene is integral in directing the immune system to kill cancer cells.